Modern technology has made CD duplication a simple process that is used for a variety of reasons such as making copies of movies, creating personal music CDs and using CDs as business cards. In the near future, this technology can bring up new uses. CD duplication is very useful for many individuals and companies hence they need to know about this technology to create duplicate CDs. 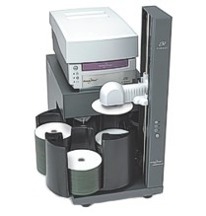 The modern systems or hardware used in CD duplication range from the most simple machines to some of the most complicated software and hardware. CD copiers are traditional CD duplicating machines, while computers installed with CD burners are the modern and latest technique. CD copiers are equipment that are attached to a PC through a SCSI port. These types of copiers are used, along with CD copying software, for producing a limited quantity of CDs. Some of the current CD copiers do not need to be attached to a PC, since they are stand alone copiers. In one session, these CD copiers are able to make multiple copies, since these machines contain a number of CD writers stacked one above the other and are in a tower format. Now, automated CD copiers are being used for large quantity requirements. These machines not only have input, but also have output spindles. Blank CDs are piled on the input spindles and are sent to the drive for copying. After copying, the CD gets placed on the output spindle which is ready to use. This entry was posted on Tuesday, January 6th, 2009 at 9:26 am	and is filed under CD Duplication Articles.